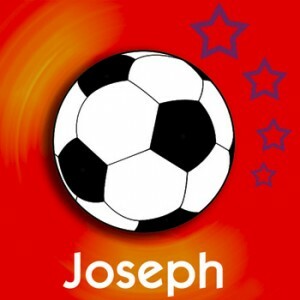 Personalised with your childs name on, a great gift for the nursery or childrens bedroom. 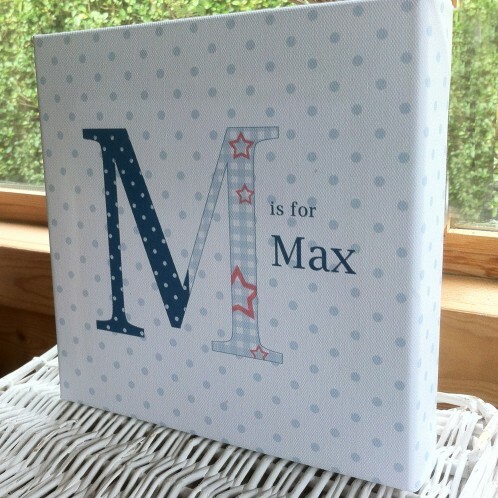 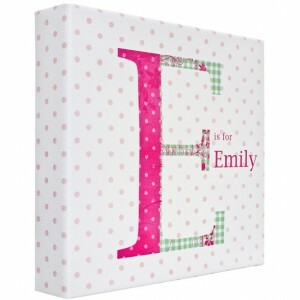 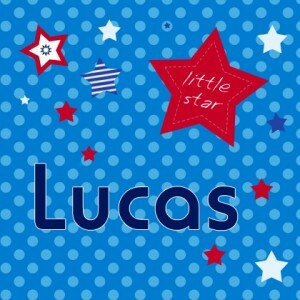 Personalised childrens name letter canvas art in a shabby chic blue polka dot style. 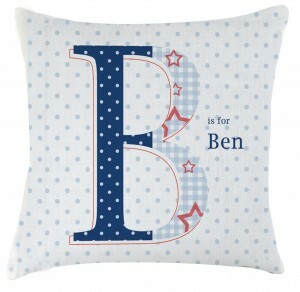 Personalised with your childs name on, a great gift for the nursery or childrens bedroom. 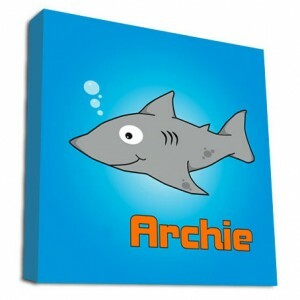 Our canvas art are printed on 380gsm cotton canvas with the photo printed high resolution giclée using Ultrachrom inks, which will look vibrant for years to come. 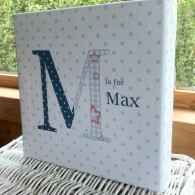 We then carefully mount them onto solid wood, chunky 38mm frames which are taped at the back so no staples are visible. 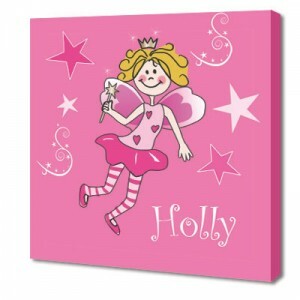 We also coat them with a protective coating to give a beautiful finished piece of Canvas Art that won't fade or crack on the corners.